I’m going to say it again and again and again until people start listening. In the state of Missouri your property manager is supposed to have a real estate license…it’s required. Once again I know of a situation because someone was crying on my shoulder about how their property manager took their money and now they cannot find them. Shockingly, this Missouri property manager was not licensed and so they didn’t have their checking account registered with the State of Missouri. The truly sad thing is that tenants don’t know to ask and seldom to even rental property owners ask. Even sadder is that a great many of the property managers operating in Missouri don’t even know the truth and argue in earnest that they do not need a real estate license!!! I guess ignorance must be bliss. Well, until someone loses big. I the State of Missouri to be a legal property manager you must have a real estate license and operate under a broker. See here and here. Don’t want to read through all the rules but want to verify? Just call the Missouri Real Estate Commission at 573.751.2628. Note: In Kansas a property manager for residential property need not be licensed. I’m sure this question has to come up a lot in the Kansas City area: I have rental property in Kansas, but live out of state. One of my friends has rental properties and resides in Missouri. If I hire her to manage my properties in Kansas, does she need a license? Kansas does NOT need a property manager who is a licensed real estate agent. But a word of caution, make sure they have good business practices. We operate as KCPropertyManager.com should you wish to interview us. Chris Lengquist has been interviewed and quoted on dozens of real estate investing websites and radio shows. He has also been considered a source for Kansas City real estate investing by more than the following publications. 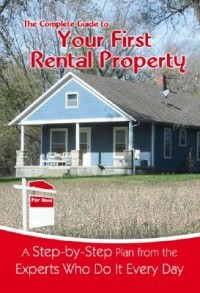 Kansas City Investment Property and Property Management · Real estate investing and property management in Kansas City.